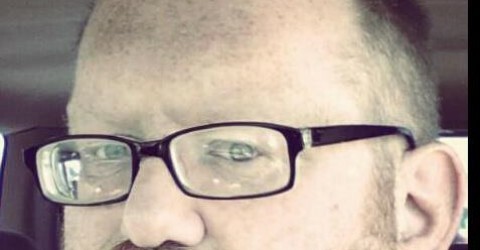 I don’t have kids, but….. It seems kids are everywhere on my radar today. I’ve read 2 amazing blog posts, one from my pastor about raising kids. I just watched an episode of The Office where 2 of the characters had newborns(season 8 for those keeping score). Kids are everywhere today and it really has me thinking. My wife and I don’t have children. Now we’re not these crazed “child free” whackos that not only don’t have kids but complain about anyone else having them also in fact we’re just the opposite. We’d love to have children of our own but so far that’s not been the plan for us. We haven’t been able to conceive them naturally and newborn adoption is really, really expensive. We both feel that GOd is asking us to be a bit creative in our approach so we will be taking classes which will allow us to either become foster parents(to hopefully adopt a child through that system) or adopt a child through the state. We’;; begin that process in November and we covet your prayers during this process. Yes we know the statistics of how half of the people who take the classes don’t end up going through with it and we also know how hard it is to become a permanent parent through the foster system. Still, this is our circumstance and where we believe God is leading us. That’s only part of what I wanted to write about though. What is really on my mind today is how God has allowed us to be in such an amazing community of people. We are childless but I wouldn’t say that we are kidless. About a year ago I said half jokingly that I wanted to adopt all of the kids at our church, The Village, as our honorary kids. It’s strange because before this it seemed that our young parents seemed a part of a club that Corrie and I couldn’t be apart of and it hurt. It hurt not only because we didn’t have kids of our own which was something that we really longed for but it also seemed to hinder the relationship that we could have with these brothers and sisters of our church. They wanted to talk about parent stuff and as much as we wanted to be a part of all of that we weren’t. They seemed to speak a language that we couldn’t always decipher but that has changed. The first thing I noticed was the relationship that my wife Corrie established with Ian and Ellie who are the kids of our friends Ryan and Andrea. They needed someone to watch Ian and Ellie during meetings and Corrie jumped at the task. Now whenever Ian see’s my wife he literally leaps into her arms to receive hugs. He always asks me to pick him up too which I love doing. We’ve also established a relationship with Jordan, Selah and Eli who are the kids of Jeremiah and Jen. Eli wants to play drums just like me when he grows up and Selah wants to learn how to crochet like Corrie. Recently I had a conversation with Jordan and found out this little 8 year old has never seen Star Wars and I asked his parents if that is something that he and I could do together fully expecting them to say no. They are both on board so hopefully that will happen soon. 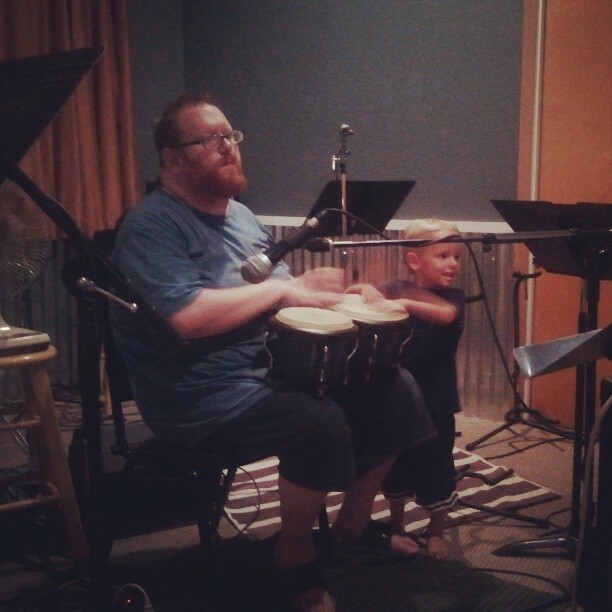 The other night at church a young boy named Zeke wanted me to teach him how to drum. There were others in the church having dinner so I didn’t teach him how to play the full drum set but I did teach him a few things on a pair of bongos we have up there. As you can see we had a good time. There is a place in my heart that longs to be a dad. I long for kids that I can love on and teach and share Jesus with and walk side by side with while they grow. That place will remain empty until the day that God grants that longing and if he never does than that is something I will grieve forever. In the meantime though I do not suffer, for my family at The Village, probably without even knowing it, has given me an amazing gift. They have allowed me to hang out with their kids, to be a part of their lives. I’m not their dad, but I’m not just some guy they know at church either. They are a part of my family and I am a part of theirs. It’s beautiful and special and I wouldn’t trade it for anything. If God doesn’t allow Corrie and I to have kids at all? Than what we have with the kids at church will be enough. It HAS to be enough, it’ll be more than enough. It’s a perfect picture of God’s grace to me and broken as I am, I’m grateful.